For two years now, Myranda has been the percussionist and community outreach coordinator for the Austin-based world fusion group ETHNOS. This ensemble was started in 2013 by musicians looking to collaborate and share their knowledge and love for different music traditions around the world. The members chose “ETHNOS,” a word from the Greek root meaning “people,” as the name for the group because they believe music is at its very core is a story about people. The ensemble’s core mission is to educate audiences about the diversities and commonalities of the world’s people in an accessible, culturally-sensitive, and aesthetically-satisfying manner. 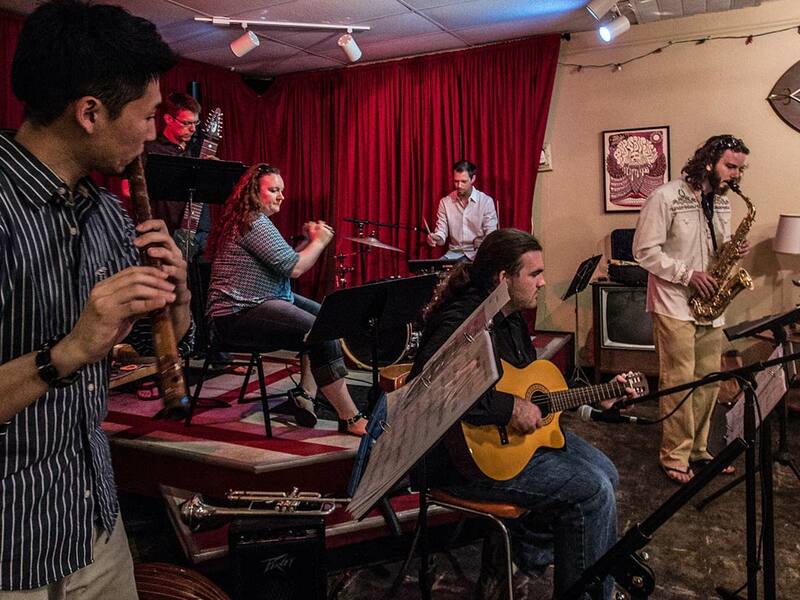 Over the past couple of years, ETHNOS has grown from its origins as a musician-oriented study group into an active and engaging band in the Austin world music scene. The members entertain audiences through creative combinations and applications of instruments, repertoire, and techniques from different musics around the world. ETHNOS regularly collaborates with other local musicians, music nonprofits, and arts organizations and conducts workshops in the Austin area to support its larger mission of bringing world music to audiences in an engaging and accessible manner.